Welcome to another Farm Fresh Friday on The Greeting Farm. 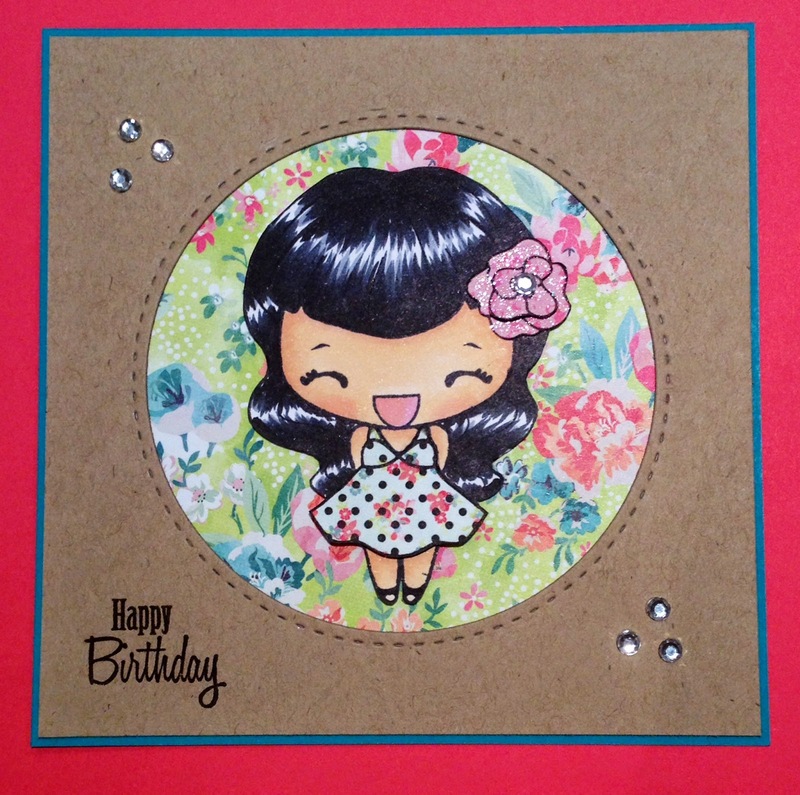 The theme this week is Flower Power and I pulled out one of my go to TGF stamps - Flirty Anya. She has a lovely flower in her hair, and I paper pieced her dress with some flowery paper. The sentiment is from Papertrey Ink. Hope you play along this week.